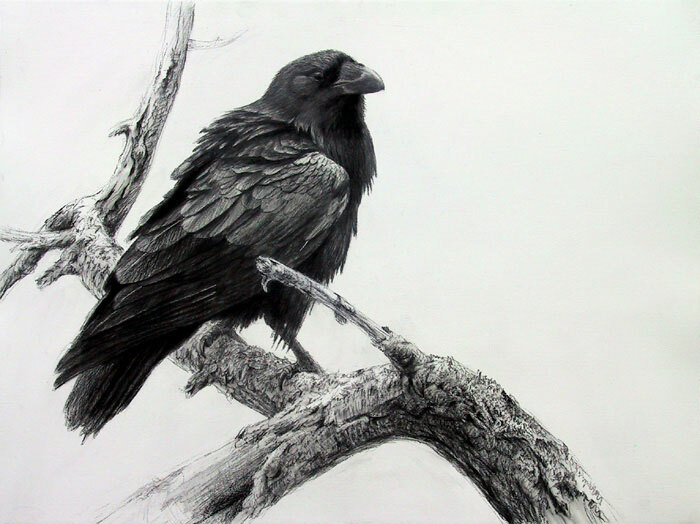 I’d like to put in a word for the ravens of Idaho. Starting this spring, Idaho wildlife officials will spend $100,000 to poison ravens in order to protect the sage grouse population. Ravens are known to eat sage grouse eggs, among many other things, and the sage grouse population is shrinking. But is the ravens’ fault? Sage grouse need solitude and sagebrush-rich landscapes to survive. As many as 16 million sage grouse lived on the sagebrush plains of the U.S. and Canada in the 19th century, but today their population is estimated to be between 100,000 and 500,000. Yet Idaho wildlife officials themselves say predation – other animals eating sage grouse eggs – ranks 12th among the 19 factors that contribute to the bird’s decline. The U.S. Bureau of Land Management and the Forest Service list the top three threats to the sage grouse as invasive plants, infrastructure and fire; predation comes in tenth on their list. What items top the list? Loss of habitat due to human encroachment, such as energy exploration, mining, development, and cattle grazing by ranchers. And hunters, who have killed 83,769 sage grouse since 2000, according to Idaho Fish and Game estimates. Over the past three years, hunters have shot an average of 2,317 sage grouse a year. The U.S. Fish and Wildlife Service is soon to decide if the sage grouse will be protected under the Endangered Species Act. If that happens, it could hamper the development of new oil and gas fields, wind farms, utility lines and roads. It also might lead to restrictions on ranchers who graze livestock on federal lands where sage grouse live. So Idaho is scrambling to find ways to boost the population of the sage grouse so the bird will not be added to the list of endangered species. The ranchers want to keep on grazing; the energy companies want to keep on exploring; the hunters want to keep on hunting the sage grouse. Look! It’s the ravens’ fault! Of course they don’t. Ranchers, energy executives, developers and hunters all have money and telephones. But ravens? They are the most intelligent birds, communicate with up to 30 unique calls, solve complex problems, engage in play, mate for life, remember the faces of humans and their previous interactions with them. But they do not have money, or telephones. So Idaho will spend $100,000 to poison thousands of them. One more sad commentary on humanity. I just randomly found this blog- great stuff! I would like to add that Corvids (Ravens, Rooks, Crows- and many others) are also known to use tools. In fact, they can use tools to create other tools– In this video, a crow is shown using a series of tools in order to obtain food- using a short stick to obtain a longer stick, and so on….